To create an animation where an image (at the bottom) is aligned with another one (at the top) with the left edge of screen, but reaches the right edge of the screen when the top image only reaches the scene center, let's take 2 “pictures/keyframe” of that animation. These will be the A & B points used to compute the linear converter properties. 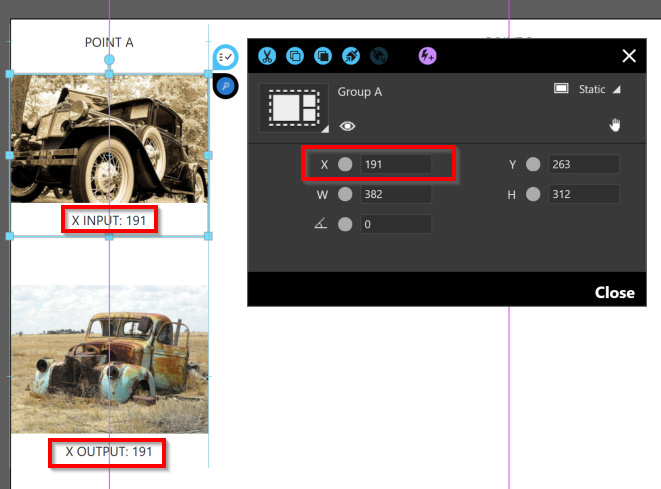 Point A: We want the 2 images aligned with the left edge of the scene. 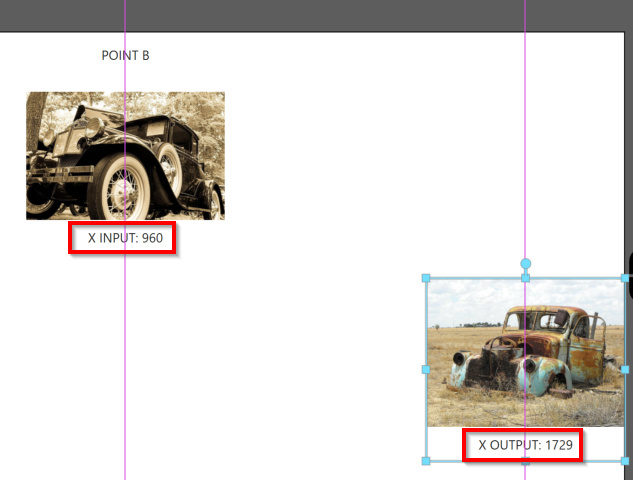 The X property equals 191px for both images, for both input and output. Point B: We want the bottom image to be aligned with the right edge of the screen when the top image reaches the scene center. The output will be 1729px when the input is 960px. 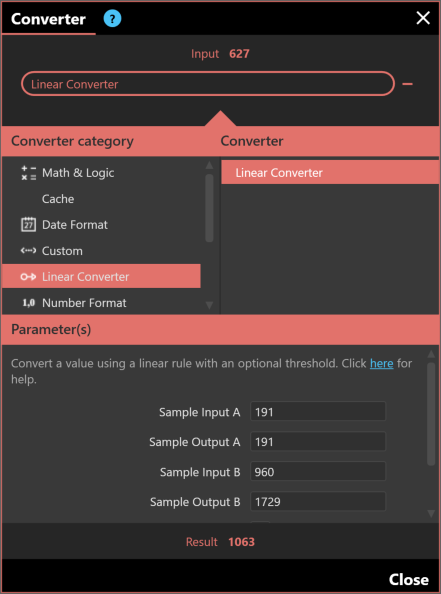 Let’s put these values in the linear converter properties. Here’s the result within Composer. The bottom image follows the top image with a linear interpolation rule. Those conditional triggers will be raised when the converted value has changed and the condition is true. This will divide your input by 100. Because 0°C = 32°F and 20°C = 68°F, this convert will convert your Celsius degrees into Fahrenheit. You just have to invert inputs and outputs to have a Fahrenheit to Celsius converter. Create a parallax effect when moving an image. When you move your Image 1, its X property will be processed by the converter and the Output value will be used by Image 2. The background image will move faster than the foreground image. Play with the Output parameters to adjust the speed / difference of movement.